Do you have an upcoming trade show exhibit in Pompano Beach, FL or the surrounding area? 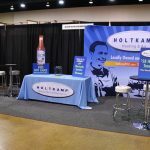 If you are attending a trade show, exhibit, or convention here in the local area, or want to get elements locally before leaving for a convention, our company can design and create attractive and attention-grabbing trade show displays, booths, and exhibits that perform! 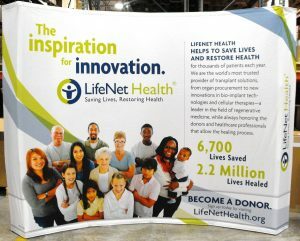 Our exhibits will withstand travel and attract attention to your particular booth. We’ll talk to you about the underlying messaging of your brand, the audience you want to reach, and what your goals are to determine what elements your booth will need to outshine those around you. 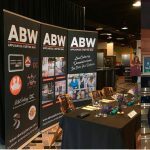 Exhibiting at an industry event or trade show is a fantastic chance for businesses of all sizes to create connections, explain who they are, and attract investors. However, attendance at a tradeshow can represent a large investment for your company, so your elements have to be crisp, concise, and on point to get a maximum ROI from your trip. On top of that, your display needs to be easy to store, easy to assemble, and extremely durable. 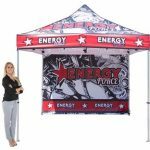 We create the right booth for your audience, needs, budget, and portability requirements so you can easily take your custom trade show elements to any event for a professional display. 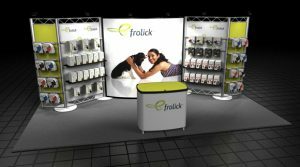 Our experience creating custom trade show displays tells us that there are several components that make a display compelling. Your display needs to be targeted. This means that you must have an ideal person that you are speaking to, and you craft your message specific to their needs. We help you determine not only what elements you need to effectively attract your audience, but also assist with layout and design of that messaging for maximum impact. An effective display highlights your brand, your special promotions, and brings awareness to your value proposition. 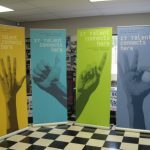 We do this with many different elements, including branded table coverings, logo backdrops, a pop-up canopy or tent, or individual graphics that help with brand awareness. 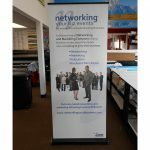 We also design promotional elements to assist with the sales process, such as pop-up banners, product displays, table top displays, and LED signs. 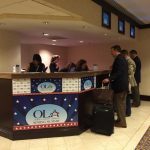 Traffic flow can be a problem at any convention, so you want to include elements that can be seen at a distance and those that can provide information when you don’t have a representative immediately available. Images, captions, and blocks of text can work as an alternative to face-to-face contact in busy times, when used properly. We’ve all seen the sloppy, bent, and poorly assembled displays at conventions and expos. Even if that company is the best one in the entire event, we typically walk right by them because we don’t see beyond their displays. It is sad, but it is a fact of business. 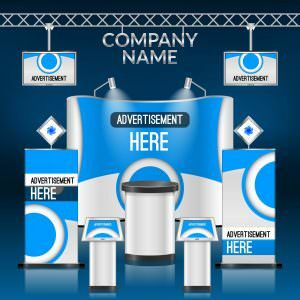 It is crucial that your display is professional, well-designed, and streamlined so that your company makes a fantastic first impression – and then follows through with an outstanding presentation and professional service. 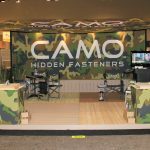 The primary focus for any company headed to an expo or convention should be the booth. 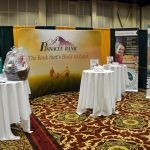 The right elements for your booth will sell your products, attract attention, and impress potential clients, distributors, and investors. 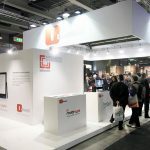 Not only do you want people to be excited when they see your booth, you want that feeling to last. 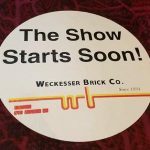 The expert trade show exhibit creators at All Venue Graphics and Signs have created beautiful displays for various expos and conventions. We know what elements will work with specific industries and can make recommendations based on your specific business and event. Setting yourself apart with a flashy display is important, but you have to deliver on that promise with quality information, an exciting proposition, and any easy way for them to get started working with you. We provide all the elements you need to deliver a complete and flawless sales presentation. 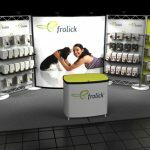 Our experts can assist you with any and all of the components of your trade show displays. 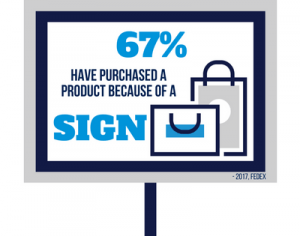 We strive to be the only sign partner you need for all your business needs. 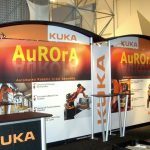 Our full-service trade show booth company will use our state-of-the-art equipment and experienced staff (who attend trade shows themselves) to produce your durable displays. These will easily travel with you from space to space, fitting into cars, vans, or trucks. You can even put them into shipping boxes and they will emerge safe and intact. We are committed to making your trade show experience as seamless as possible. We can even teach you how to properly assemble your display so that there aren’t any questions when you do it yourself. 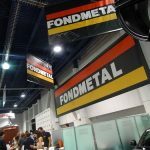 If you already have some trade show booth elements, but you want to update with some new pieces, we can build off of your existing materials or replicate them. We will create single elements or entire displays for you, allowing you to mix and match for each event you attend. If you aren’t sure what display elements you need, we can pick out the best components for you, keeping in mind your budget, your event, and your company. Whether you are starting with an idea, a picture of something you like, or you have no ideas at all, our expert staff will work their magic to give you a fantastic display. If you are organizing a trade show, convention, or other event or you have a venue that hosts conventions and/or expos, we would love to work with you! 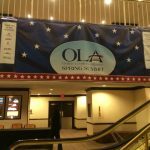 From directional signage, large banners, and floor graphics to outdoor advertising signs, we will help you to make your event a success. 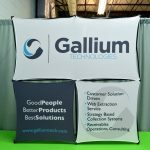 We would love to be a partner for your event needs, including being a preferred signage partner for your attendees who may need booth or exhibit displays or supplies. Just call, we would love to tell you how we can work together to make your event a success. Planning to attend a trade show, convention, or expo in Pompano Beach, Florida? 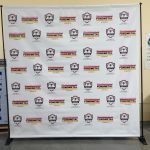 All Venue Graphics and Signs has the tools, supplies, and knowledge to create an eye-catching display that meets your needs and budget! Call All Venue Graphics and Signs at (954) 504-9965 for your Free Consultation with a Trade Show Design Specialist! Now we can't be missed with our awesome truck wraps.